Last week, I was in Athens, staying at a friend's house. 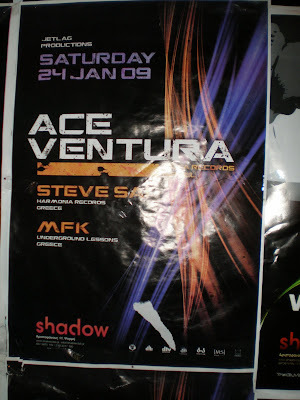 There was a progressive trance party at Psirri (Israeli producer Ace Ventura played) so we decided to go. The club was full of people and the music was so loud that my ear were humming for a whole day after the party. Overall, me and my friends had a great time and hear descent prog trance.